I have a 25-foot Surveyor travel trailer I also purchased a 3000-watt portable generator. Where would you recommend I mount this generator? On the tongue or on the rear bumper? It weighs about 145 pounds. Personally Leroy, I do not recommend permanently installing portable, non-RV generators. Besides, a portable generator should remain portable. They simply are not suited for a permanent installation in an RV. 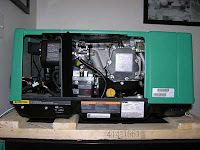 Certainly do not mount any generator at or near the LP cylinders. 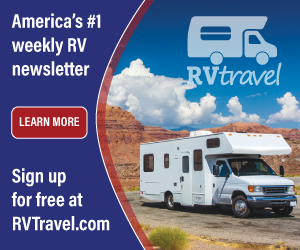 The best place for an RV-approved generator is mounted into the side of the coach within a correctly constructed generator compartment. Wish I had better news for you, but electrical integrity and safety are paramount when it comes to generator installations. Installations must comply with the NFPA 1192 RV Standards as well as the NEC.